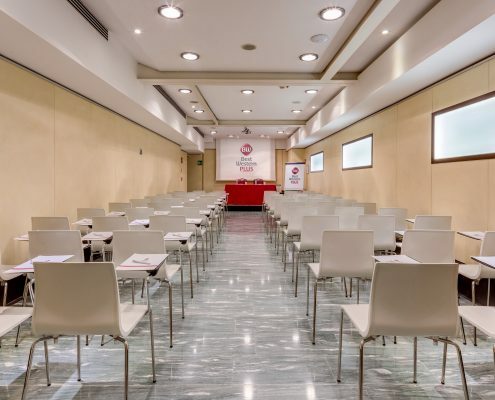 A short distance from the Central Station, overlooking Piazza Lima and then a few steps from the Metro Line M1 Lima, the Conference Center of the Hotel Galles is the ideal place to organize meetings and events. 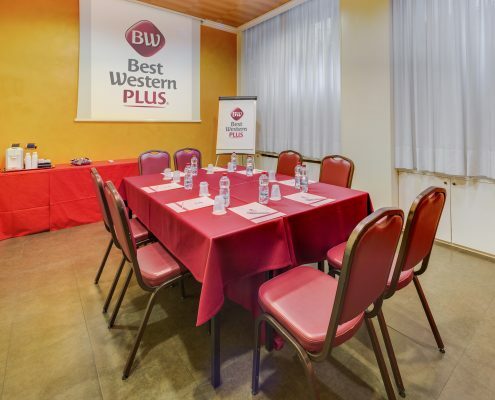 Whatever the type of event to organize, the Best Western Plus Hotel Galles is at your disposal for any request. 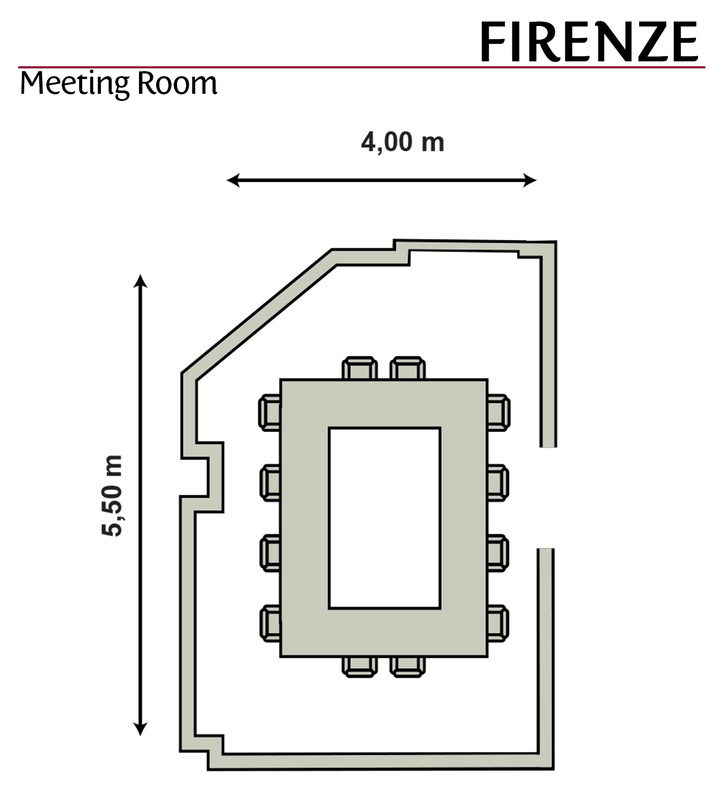 A part from its position, our modern Conference Center provides 6 meeting rooms that can host up to 99 people. 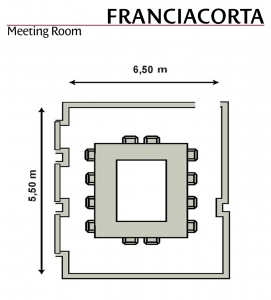 Sala Firenze, the smallest room of the Best Western Hotel Galles, is the most suitable for private meetings. 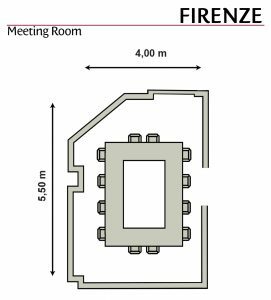 With an area of 28 square meters, it accommodates up to 12 people and it is perfect for meetings with special guests or executive meetings outside the company headquarters. 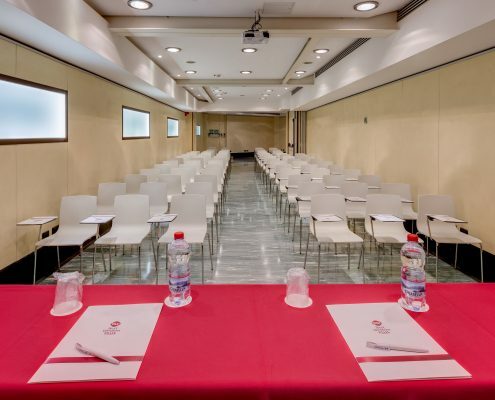 Contact our meeting manager to organize your business meeting in Milan at meeting@galles.it. 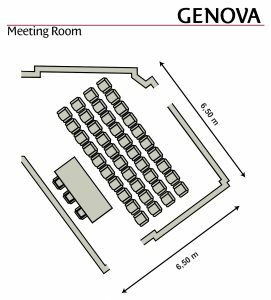 Sala Genova, the last one being renewed, is the most elegant of our conference centre and can accommodate up to 40 people. 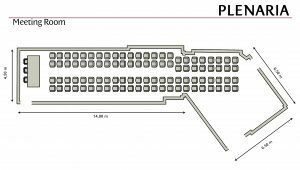 The different settings of tables and chairs are perfect for conferences, debates, round tables and meetings. 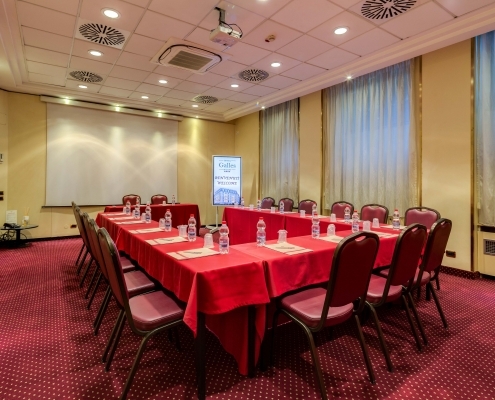 Sala Milano is one of the biggest room of the Hotel Galles and it can hosts up to 60 people. 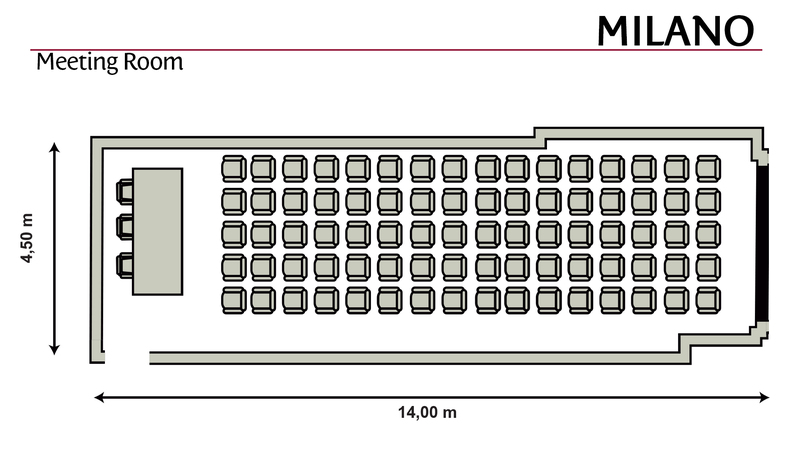 The room can be set according to multiple style: conference, classroom, theatre and u-shape. Suitable for conferences, press events or business meetings. 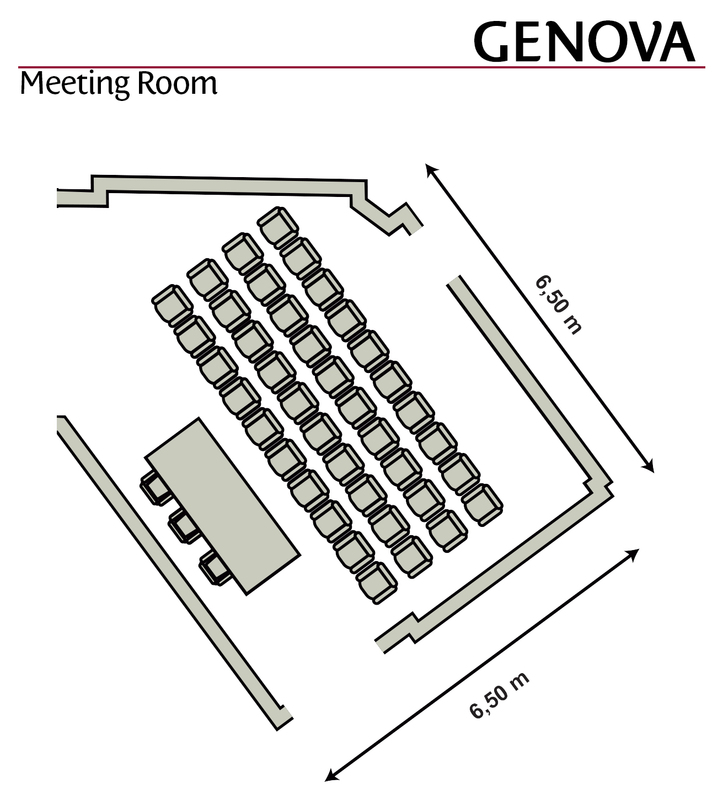 The union of Milano and Genova meeting rooms creates a multipurpose hall for 99 people. 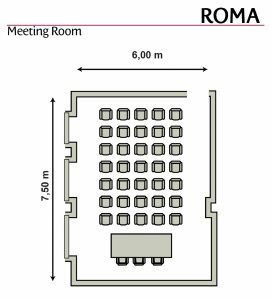 The room has soundproof walls that guarantee guests’ privacy and the movable walls allow you to quickly turn the multiplex into smaller rooms suitable for private meetings. 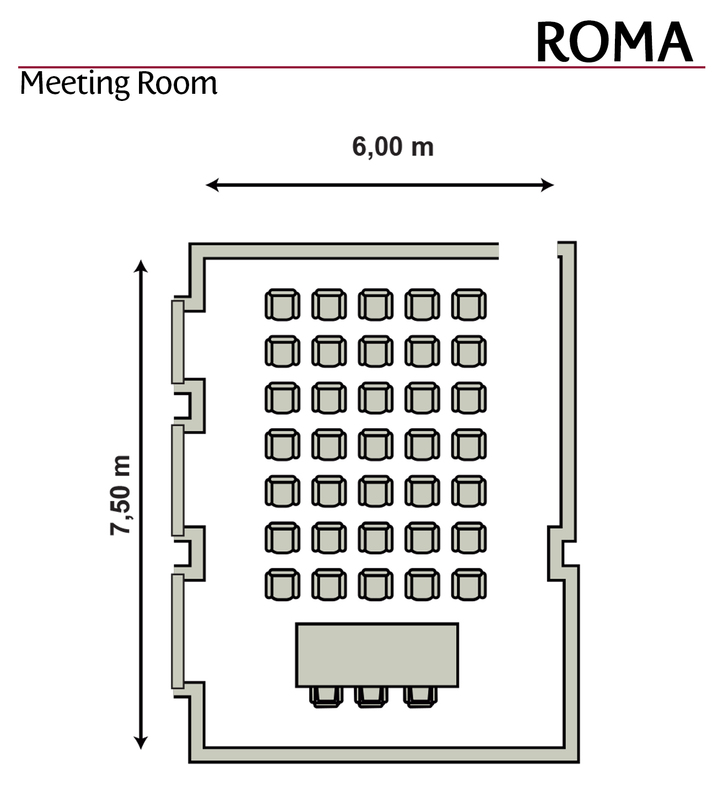 Sala Roma is 45 square meters and hosts up to 48 people. 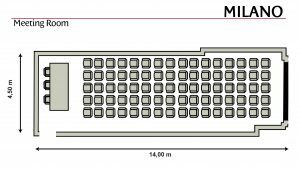 Depending on the need and demand, it can be set-up as conference, classroom, theater or u-shape style. 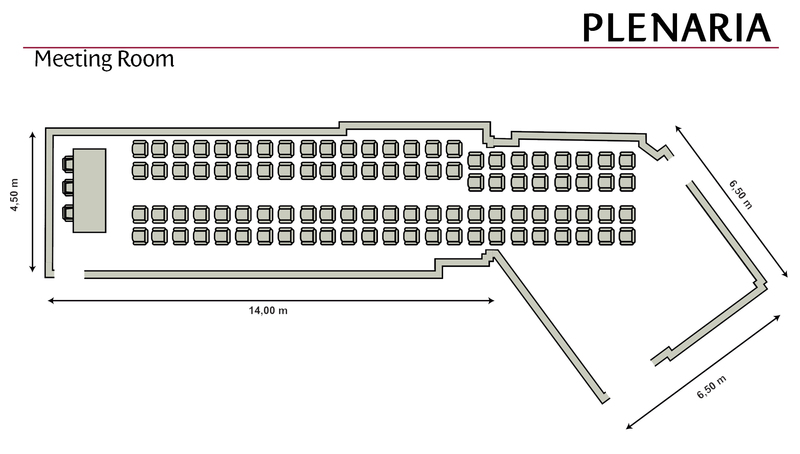 It is perfect for product presentations or catalogs and for the promotion of business activities. 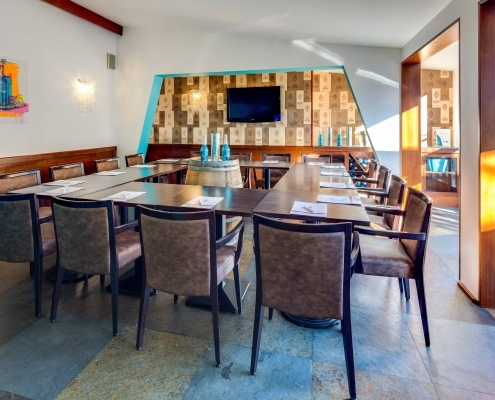 Sala Franciacorta is located on the 6th floor of the Best Western Plus Hotel Galles right next to the Restaurant La Terrazza. The room has natural light thanks to its large windows and thanks to its position that quickly brings you to the two Panoramic Terraces. It hosts up to 18 people and it’s the ideal choice for a brunch or a business lunch in peace and privacy. The catering service is organized by our Chef with a very good selection of menus for coffee breaks, brunches, business lunches or gala dinners. Our Restaurant La Terrazza on the 6th floor and the two panoramic terraces on the 8th floor are perfect for dinners, banquets or a cocktail party. Take a relaxing break from work. Hotel Galles offers 200 elegant rooms, a wellness area with SPA & fitness centre open from 7.00 am to 10.00 pm, bar and restaurant for enjoying exclusive aperitif, lunch and dinner. 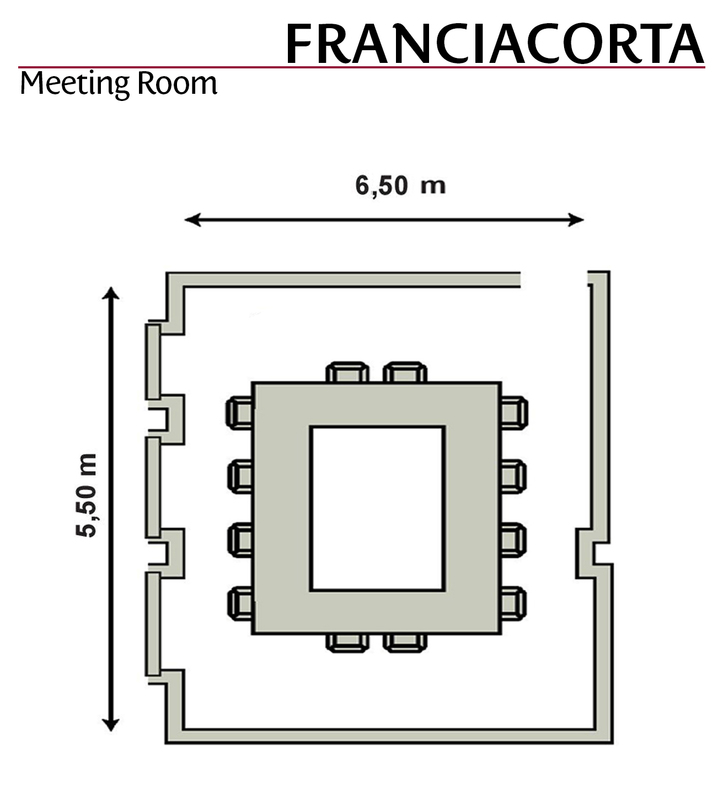 Do you want to organize a meeting? Call us or fill out the form!